Your home is one of the biggest investments you’ll make in your life. 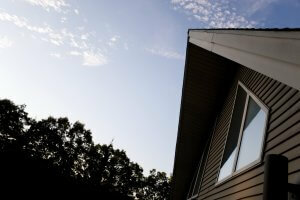 When deciding which improvements will help increase your home’s value, vinyl siding is a considered a sound investment. Not only will improve the appearance of your home, it can also make your home more energy-efficient by keeping it warmer during the winter and cooler during the summer. Vinyl siding also requires less maintenance than painted or wooden exteriors. Here at McCann Window & Exteriors, we use only the best products. That’s why we love working with Alside Vinyl Siding. Alside has been in the business of manufacturing vinyl siding, vinyl windows, and patio doors for almost seventy years. With their presence in the Chicago area, we are able to depend on their reliability with deliveries and the high quality of the vinyl siding products they manufacture. Charter Oak® Energy Elite, which provides an insulating foam underlayment that contours to the face of your home to fill gaps between the siding and your home. Charter Oak® Featuring Neopor® Thermal Foam Technology, which incorporates graphite particles into the surface of the siding that serve to reflect the sun rays to keep your home cooler during the summer. To learn more about the full line of Alside vinyl products available through McCann Windows & Exteriors, contact us to schedule an free consultation. Would You Like a Free 60-Minute Consultation?